Is there really such a thing as pet-friendly carpet? Pets are notoriously hard on carpets. Their claws snag carpet threads. They track in dirt and mud. Their fur seems impossible to vacuum up. And we haven't even mentioned the worst pet messes that are all too often left behind. Good news! There really is such a thing as pet-friendly carpet. And Indianapolis carpet store Kermans has some wonderful options that you and your pet will love. The number one carpet issue for pet owners? Stains. The best way to handle stains? Quickly. Well, there's a little more to it than that but the faster you treat a stain, the better your success at getting it out of your carpet. Check out our Carpet Care Guide for specific tips. As all pet owners know, there are many times when you can't get to a stain right away. An accident happens when you're away from home or not in the same room as your pet. With the right carpet selection, you can rest assured that even lingering messes can be cleaned up without causing long-term damage to your carpet. Shaw's Life Happens line of carpets is another excellent, pet-friendly option. These carpets are waterproof and also have the stain resistance built into the carpet fibers. And there's no reason to sacrifice design or trends with these carpets - they offer a wide variety of options to match any decor. Another popular carpet for Indianapolis pet owners comes from Mohawk. Their SmartStrand Forever Clean has the qualities mentioned above and a warranty on their lifetime protection. 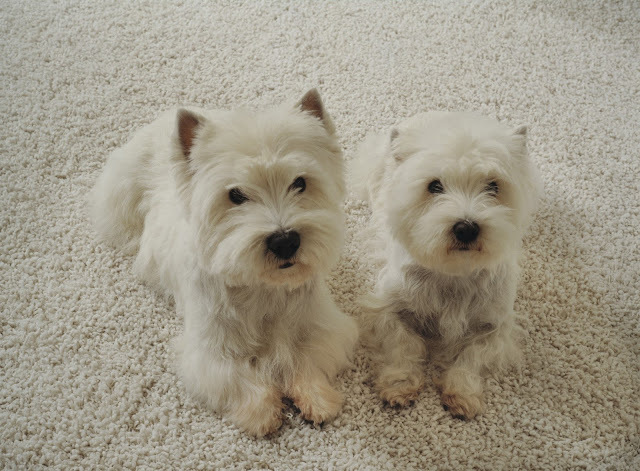 Clearly you have great choices when it comes to pet-friendly carpets. What questions should you be asking your local carpet store? What carpet offers strong stain resistance? How waterproof is the carpet and/or carpet padding? Water resistance prevents spills and their odors from permanently soaking into the padding and subfloor. How easy is it to vacuum dirt, pet hair and dander from this carpet? The staff at Kermans Indianapolis Carpet Store regularly direct homeowners to a beautiful selection of pet-friendly carpets. Stop by our showroom and let us help you find the best carpet for your home, lifestyle and budget.